The combination of poppers and wax makes for an extremely innovative concoction, which ensures the very best incense experience you’ve ever had. Make no mistake: this invention will change the world of sexual pleasure! 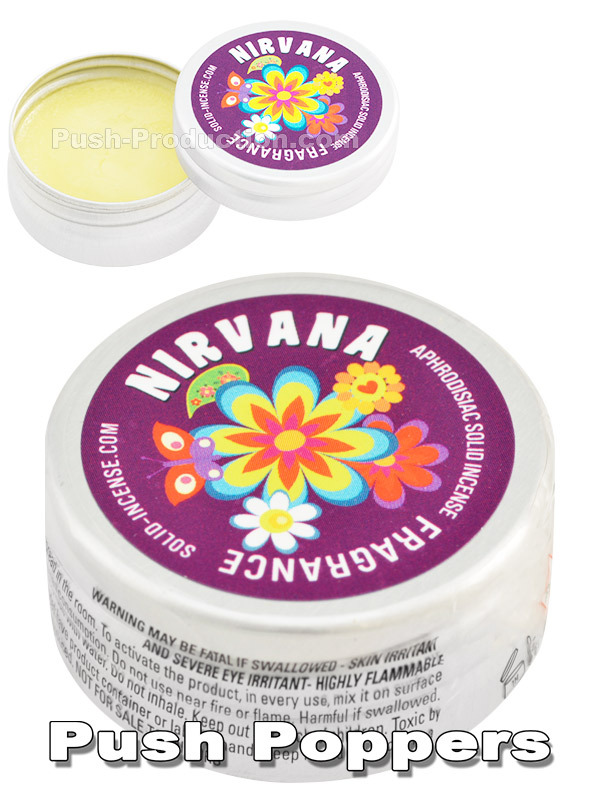 And: the jar (made of aluminium) is very strong and small enough to take with you on all your journeys, which will surely be fantastic thanks to Nirvana Solid Incense!